Are you trying to put together the perfect monster outfit for tonight but can’t quite figure out how to bring it all together? You’ve got some kooky earrings and a tunic with spikes on it. Your pants are cropped and scaly. And you’ve got those cool fingerless gloves. But something’s missing from your piecemeal ensemble...hmmm. Trust us, you need these Adult Royal Blue Furry Boot Covers! Why? Because they are the missing puzzle piece to your look! You’ve got scary accessories and bold styles, but nothing that says you are a monster underneath it all. These boot covers will easily manage that task for you! With these furry covers, you’ll have people wondering if you’re covered in fur from head to toe. Maybe they’ll ask just what kind of creature you are underneath all that intimidating clothing up top. Who knows? 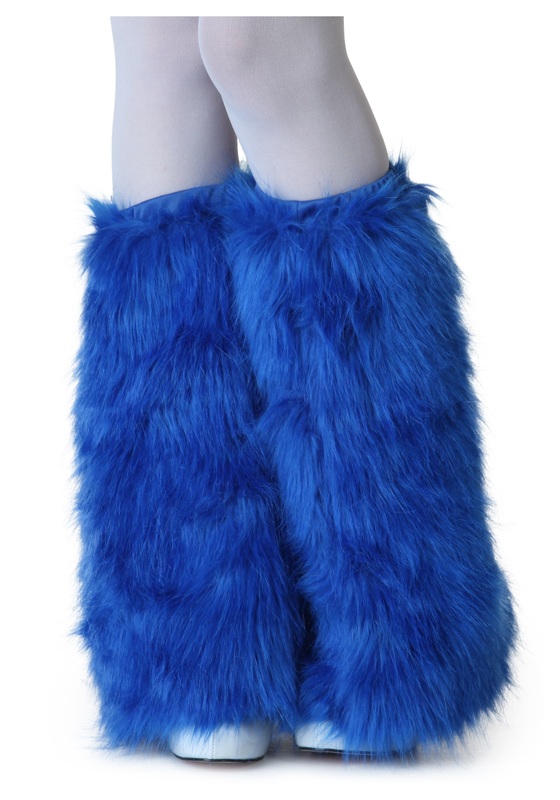 With these boot covers—which are about 16.5 inches in length—running up your legs, there’s no telling what monstrous secrets you have in store. We’ll say “you’re welcome” ahead of time because we know that these are going to bring your spooky, creepy night together perfectly. Just try not to scare anybody too much! We think you're more of a snuggly monster, anyway.